– Grovyle, Pokémon Mystery Dungeon: Explorers of Time, Darkness, and Sky. Funny you should say that, totally normal Grovyle that just happens to be friends with a Shining Celebi. ‘Twould be a real shame if said Shining Celebi were to be left out of the English version of this set, now wouldn’t it. OH WAIT, IT WAS. Yes, I know. I missed the pre-order shipment from the Pokémon Center website. It’s not my fault. I was busy. At least I got to the proper release. Hurray for mini-sets! Not something we get in English often, but we take our victories when we can. Plus, this one is pretty freaking good. It also doesn’t interrupt our normal set release schedule, so we’re still looking at an early November release on Crimson Invasion. In my case, this means more cards to make fun of review! I have taken the liberty of meticulously analyzing each and every card in the upcoming TCG set for playability, artistic value, and interesting mechanics.  As such, I will be using this article to forgo whatever results I may have picked up from this analysis and just rant about which cards I like and don’t like. So without further ado, here is the 3.5th set in the 7th generation, the 3.5th in 2017 and (debatably) the Sun and Moon block, and the equivalent of the Japanese Strength Expansion Pack Shining Legends, Shining Legends. Standard Disclaimer: These are my opinions. Also because there were no pre-releases, it is hard to find English pictures. As such, most images are Japanese. Dominant Type(s) – Almost totally equal Grass, Fire, Water, Lightning, Psychic, and Dark, with 8-10 for each (not counting FAs and SRs). As for the other five types, Fighting, Dragon, and Colorless have 1 card each (though the Fighting-type uses only Lightning energy to attack), while Fairy and Steel are absent. 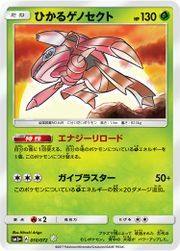 Pack Art – Shining Genesect, Shining Mew, Shining Rayquaza, and Mewtwo (not shiny). Elite Trainer Box features Ho-Oh. 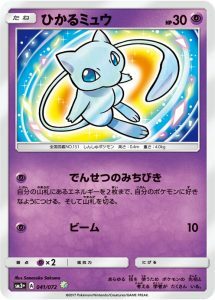 This is the second english pack art appearance for Mew, third for Genesect, and fifth for Mewtwo. Rayquaza appears on his SEVENTH pack here, and the second in which he appeared as a Shiny (Ancient Origins was the first). This set’s pack artwork features only Legendary (or Mythical) Pokémon. This is the second time since Legendary Treasures that this has occurred, following the previous set. 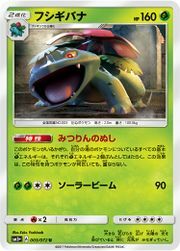 Shining Legends has fewer cards than its Japanese equivalent, the fourth time ever that this has happened and the first since Majestic Dawn (almost ten years ago). Ho-Oh appears on the Elite Trainer Box despite being completely absent from the set, the first time this has occurred. It is also the first time the ETB Pokémon has not been on the pack art of the same set. Four versions of Mewtwo GX appear in this set, which makes more than 5% of the set just Mewtwo GX. And they still cut FA Raichu GX. Sigh. Aaaaand this set’s 78 cards put it at the fifth smallest English set ever, trailing Neo Discovery (75), Neo Revelation (66), Jungle (64), and Fossil (62). TOTEM VENUSAUR CONFIRMED FOR ULTRA SUN AND ULTRA MOON BECAUSE ABILITY NAME???!?!?!?!?1?!?!?/1?!?!? Funny story. So Lurantis GX called The Pokémon Company a while back. She said she was very sad that they had taken her away from her Forest of Giant Plants. She said she had no friends in this cold, dark, and scary “Standard” format. Lurantis claimed that everyone had forgotten her now that bigger, scarier Grass-types like Golisopod GX had come to power. TPC, feeling bad for Lurantis GX, said they couldn’t let her have her Forest back because it got too old and also Shiftry still exists. However, they did make her a new friend in Venusaur. The OG Pokédex number three (that’s a rhyme) has a couple boring aspects (his Stage 2 status the most boring of them) and an Ability named Jungle Totem. This has the modest affect of DOUBLING ALL GRASS ENERGY. That’s right, every Basic Grass is now a Double Grass Energy. As far as Lurantis is concerned, this means her GX attack does 100 damage (as opposed to 50 normally) for every Basic Grass applied to her. Thus, you only need three as opposed to five to OHKO the entire format. This set’s gimmick is Shining Legend(arie)s. These cards all have Shining in their name, and are treated separately from their non-Shining counterparts. Sadly, there is no Shining Darkrai, so I can’t run my Sixteen Darkrai deck (four regular, four EX, four GX, and four of the non-existent Shining one). As alluded to in the intro, one shiny Grass-type, Shining Celebi, is AWOL this set. So let’s talk about the other one! Shining Genesect likes to pick one color of energy, move it around a bunch, and use a metric ton of the stuff to pew pew things, like… Basically every other Genesect card ever. In this case, Red Genesect’s favorite color is green rather than grey, so it uses Grass energy. Genesect can move Grass energy attached to allies to itself once a turn with its Ability, and then does more damage for each Grass Energy attached to it with Gaia Blaster (50, +20 per Grass Energy). This isn’t particularly affective, because Grass energy only counts as one and… Wait a second… Glances upward. Side note: Shining Celebi will be released as a promo, being part of a collection containing packs from this set. 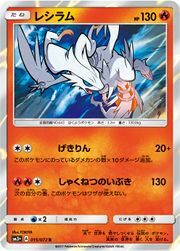 Shining Lugia and Shining Ho-Oh met a similar fate, as did Secret Rare Ho-Oh GX, although that would have been in Burning Shadows. Side note II: Before you start asking, future shiny Pokémon will not always be labelled Shining. Seems like this is going to be unique to this set as far as the present format is concerned. Heck, there’s a Secret Rare Mewtwo GX that’s shiny. Sorry, but you can’t use four Shiny Tapu Koko GX and four regular Tapu Koko GX. I’m calling out these two cards because they very closely mirror their original printings, which is really cool. EXCEPT, Zekrom is closer to the BLW Reshiram, and Reshiram is… a little different. Both retain their Outrage attacks, which haven’t changed a bit. 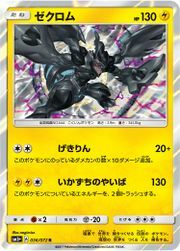 However, Zekrom’s new second attack is nearly the same as old Reshiram’s second attack – 130 damage (up from 120) for three, with a discard requirement of two. Reshi’s second attack still costs three, and matches the increase of Zekky’s, but the punishment is not being able to attack the following turn. Both cards also look really cool. That is all. The prettiest Raichu card in a very long time. And I like Raichu. So there. Oh, and it does things too. Its GX attack is basically a better version of Lapras GX’s, with the ability to totally incapacitate an opponent via Paralysis for a turn being very helpful in a pinch. The first attack is also quite useful, as if you’ve been stacking energy on Benched Pokémon it could be a major boon later. That said, it only works with Lightning Energy, so no Venusaur shenanigans and I can still safely say that Lanturn Prime’s attack is better. 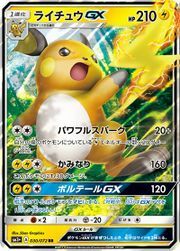 Side Note: As I mentioned in the random stats, the Full Art Raichu GX also got cut from the English version of the set in favor of being a collection promo later. Zoroark GX’s FA version met the same fate. 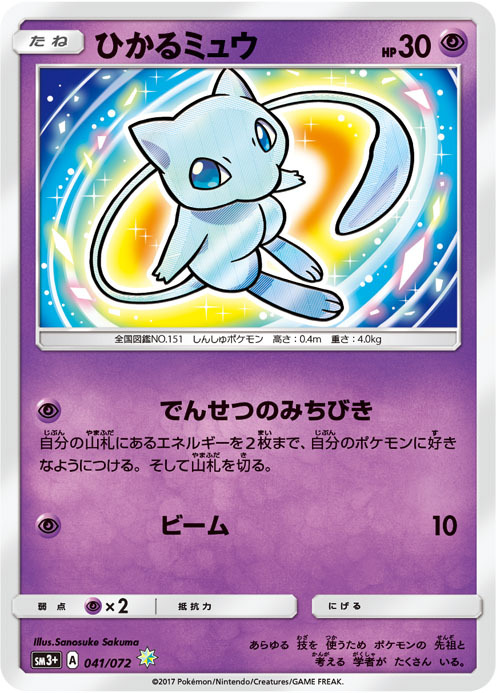 Mew’s first attack lets you search your deck for two energy and attach them wherever you want. It also doesn’t mandate that the energy be Basic, so have some DCEs, Gardevoir. 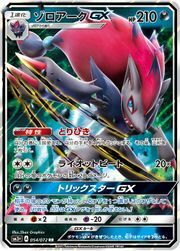 My initial reaction to this card was “Wait, this is just a combination of the BLW Zoroark and the DEX Zoroark“. Turns out, I was a little bit wrong because of that ability. Say hello to your new draw bot. While Octillery will likely remain the best hand refresh Pokémon for the rest of the season, Zoroark is really good and also can actually do something (specifically 100 damage for a DCE if your bench is full) rather than just sitting around being a liability. Your GXs are cute. I block that though. 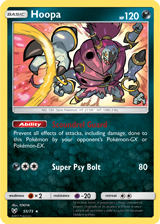 Hoopa’s Ability blocks all damage and other nasty things done to Hoopa by GXes and EXes. That is all. Contains: 3 Shining Legends Booster Packs, a Promo card of Pikachu or Mewtwo, a cool pin depicting the same, and a TCGO code. Contains: 10 Shining Legends boosters, Shining Ho-Oh Promo, 65 Ho-Oh themed card sleeves, 45 Basic Energy, a guide to the Shining Legends expansion, 6 damage counter dice, a legal randomizer die, some fancy and totally not overkill Poison, Burn, and GX markers, a box for holding this mess, and a TCGO code which you should give to me. Contains: A lot of stuff. Let’s start with the non-card stuff: a pretty Ho-Oh figure, a theme-appropriate playmat, some boxes to hold all this junk, and the all-important art book. As for cards, you get 10 packs of Shining Legends, plus 4 unique Promo cards: Secret Rare Ho-Oh GX, Shining Lugia, Shining Celebi, and a plain old boring Pikachu. Oh, and you get a TCGO code for all of this and you should DEFINITELY send me those codes. Release Date: October 6th on the Pokémon Center website, October 20th everywhere else. Retail Price: $79.99 USD. I’m not kidding. Must be the art book. Contains: Full Art Zoroark GX or Raichu GX, a bonus holo promo (Zorua or a non-GX Raichu) 5 Shining Legends packs, and a jumbo version of the GX in question. Oh, and a code. Duh. Aaaaand I think there’s one or two more, but I forget. Oh well. That’s all the time I have for today. 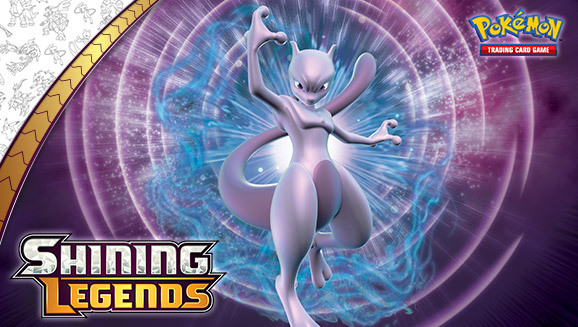 Join me very soon for another fabulous TCG Set Analysis, and make sure to pick up some cards from Shining Legends when they release on October 6th! If you have any thoughts on this new set, tell us in the comments. Good luck finding a reasonably priced SR Ho-Oh GX, and I’ll see you again at the end of the month when Silvally and the Ultra Beasts (an excellent name for a band) come to town. 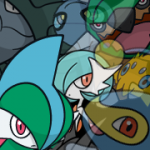 Previous PostUB Adhesive and more in new trailer and site update for Ultra Sun and Ultra MoonNext PostPlay! Pokémon Program Announces new VGC Format for 2018!